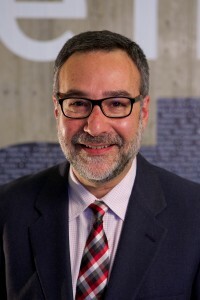 Alan Salzenstein, President of AAAE, Professor, Performing Arts Management, DePaul University. Alan Salzenstein is currently President of the Association of Arts Administration Educators (AAAE) as well as Professor at DePaul University in Chicago, as head of the MFA/Arts Leadership and Performing Arts Management programs. Salzenstein has held various Executive Director positions for a wide array of arts organizations over the past thirty years. In addition to a long history of theatrical producing, he has devised and overseen many special events and maintains an active consulting service for artists and arts organizations. He is a frequent invited speaker on topics related to arts management and legal issues in the arts, having presented across North America, Europe and Asia. Salzenstein is also an attorney, focusing on issues relating to the performing arts industry. He has recently been included in a 2015 list of the most influential leaders in the nonprofit arts in the USA.